PC Antivirus Software’s Key Aspects? 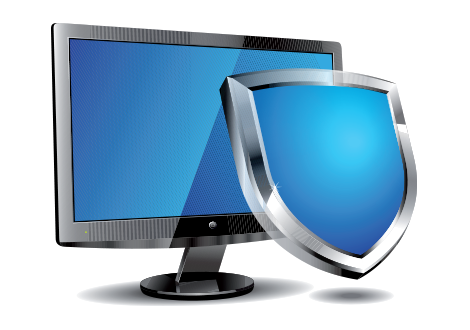 Having a PC Antivirus Software installed on your PC(s) and laptops is a must considering the rapidly changing cyber security threat landscape and the challenges it throws. But it does not necessarily mean your device is safe from all kinds of security threats. One of the main reasons behind this is that the PC antivirus software is usually not as evolved as the cyber security threat landscape. In other words, the hacking community is usually 3 or 4 steps ahead of the cyber security experts. While bridging this gap might take time - for its not always the cyber security community but various other software manufacturers who are at fault, releasing their not-so-perfect software in the IT market - a PC antivirus software can certainly be expected to withstand any challenge, no matter how sophisticated it may be, if it contains the following provisions. 1. Ability To Scrutinize Every Application: The moment your PC goes online, everything it comes into contact with maybe a security threat - be it a web application or something else. Therefore your antivirus software should be equipped enough to scrutinize each and every application - to check whether they are malicious or not - before they are given access to your PC. This way, your PC will stay safe against security threats. 2. Ability To Offer Secure, Separate Execution Environments: The best way to test whether an application is malicious or not - as stated in the above pointer - is to execute them. But how can you execute applications without allowing access to your PC? This is where secure, separate execution environments - also known as Containers - come in handy. Therefore your antivirus should also contain the ability to run applications within secure containers. 3. Ability To Combat Zero-Day Attack: Very important as it's raining zero-day threats on the cyber security landscape these days. To handle these unpredictable - and therefore unresolvable - zero-day attacks, your antivirus should be equipped with what is known as behavioral or heuristics analysis feature. Therefore ensure your antivirus implements heuristics analysis approach. Only then your PC will withstand zero-day attacks. Comodo Antivirus which comes equipped with impressive security features is one of the Best Antivirus available in the IT security market. It contains all the above-mentioned provisions - scrutinizes every application using Default Deny Approach, offers separate, secure execution environments using Containerization technology, and effectively combats zero-day attacks through behavioral or heuristics analysis - and therefore is pretty successful in fighting various cybesecurity threats. Host Intrusion Prevention System (HIPS): Comodo Antivirus ships with a default HIPS settings which can be customized by PC users to suit their requirements. HIPS is basically a set of security rules which prevent any kind of intrusion - be it malware or other kinds of security threats - into your computer. The default configuration itself is enough to combat various security threats, including zero-day attacks. Viruscope: Another security provision - unique to Comodo - which monitors the various processes running in your PC and ensures they don't get infected by various security threats. Viruscope is also equipped with the provision to undo any malicious activity which may be happening or occurring within these processes. Secure Shopping*: Especially useful for conducting online sensitive transactions - like banking and shopping - is the secure shopping feature. While using this, PC users can carry out such sensitive transactions with confidence, as the secure shopping feature provides a running environment for them which is well-protected not just against malware attacks but zero-day threats as well. WiFi Security*: This security provision ensures PC users like you can utilize public wifi(s) securely without any hesitation of your system security being compromised. In other words, the public wifi can be safely accessed using Comodo's security software. And More*: Malware removal support, Cloud-based data backup, 500$ money back guarantee and more such crucial security features are offered by Comodo's security software.